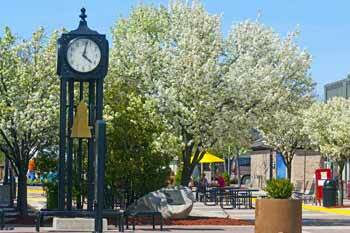 Discover what others already know...life here in West Michigan is good! Small town friendliness and sense of community set us apart from other places, and nothing can compare with our beautiful surroundings, from our lakes to our forests. Building a business here makes good sense, and West Michigan realtors can help. 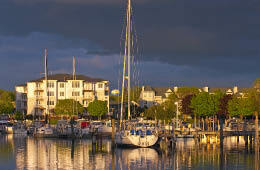 Over the past 30 years, there has been tremendous growth in the Ludington area. More and more businesses are realizing that there are numerous opportunities in this fast-growing real estate market. Choose from commercial property in high profile locations, to turn-key businesses. People are realizing that you have to love the area in which you live. If you're a business owner, you recognize the need for certain products and services and know how to deliver. An investment in West Michigan is a profitable investment in your future. Thousands flock to this area of Michigan for our terrific recreational activities, including fishing, boating, swimming, and hunting. 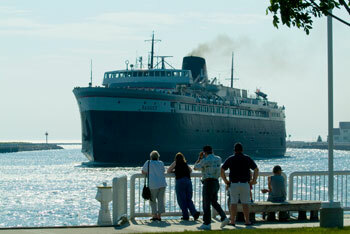 We have lighthouses, parks, wonderful summer activities, and the S.S. Badger carferry. Our beaches are clean and safe, and nothing beats a sunset over Lake Michigan. Investing in a resort, restaurant, sporting goods store or watercraft rental facility just makes sense. An area as rich in natural resources as West Michigan means the people will come back, year after year, and you can reap the benefits. A variety of condominiums can be found along the lakeshore, nestled in the woods, and in downtown regions. It's the perfect way to live for young professionals or those who are older and have finished raising their families. Condos range from modern high-rises to comfortable one-story homes in beautiful residential districts. People love the carefree, low-maintenance of condo living, and the need is growing. Get in on this valuable investment by talking to a West Michigan realtor today. Small-town comfort, big-town possibilities. West Michigan is growing, and you can be part of the expansion. Knowledgeable realtors are ready to help you achieve your dreams.